He's reviving the 60-year-old company's cutting edge roots with big vision, advanced technology, and a brand new executive team. Typically buttoned-up and polished, Sean Menke strolled into the room in a loud red T-shirt, jeans, fake-tattoo sleeves, and a blonde spiky wig with a backward visor covering his balding head. He stood in front of about 1,000 members of his senior staff, who were floored by the new look of their lead strategist. His appearance capped the first day of a leadership summit in January—the first ever for the company. Employees had just finished hours of training and seminars before their colorful, relatively new CEO took to the front of the room like an ’80s rock star. The room erupted in applause. Though his getup was comical, his message was much more serious: Sabre Corp. is going to be a new kind of company. As he did that day, Menke aims to shock the system of Southlake-based Sabre. He took the top spot in December 2016, following the resignation of Tom Klein, who had served the company for 22 years—three as CEO. Menke’s appointment represented a seismic shift for the travel technology company, which had spent the last few decades leaning on legacy systems to propel its success. But nearly 60 years after it was formed, Sabre found itself in critical need of a new vision to keep up with the technology-driven marketplace, improve its standing with customers, and reinvent the way it does business. Enter Menke. The former CEO of Frontier Airlines had spent the previous year as Sabre’s executive vice president and president of its Travel Network, giving him valuable insight both as a user and seller of Sabre’s services. And thus began the new vision, new set of priorities, and, along with them, a new executive team. (Only one previous era executive besides Menke remains on the team.) The $3.6 billion global company, with 9,000 employees, has spent the last year-and-a-half in redevelopment, executing a strategic plan that includes a $500 million investment in tech infrastructure and $500 million in labor this year. The efforts are all aimed at helping Sabre explore new verticals and create a seamless travel experience for clients. 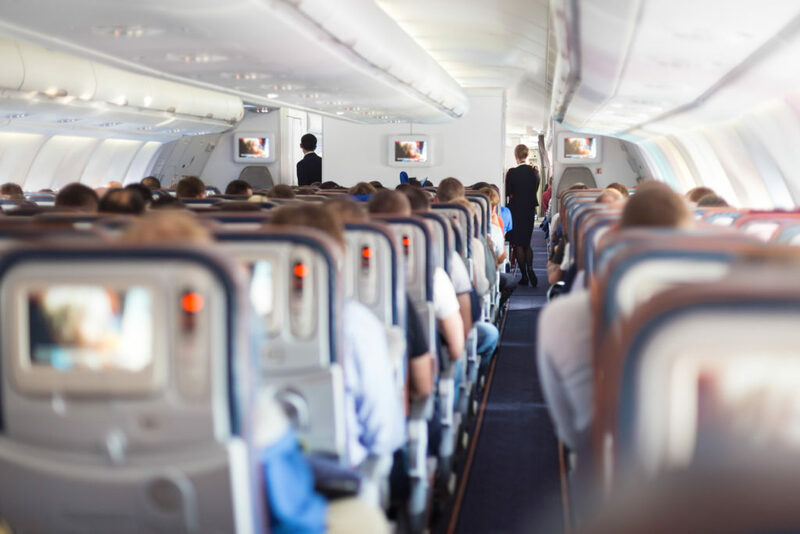 With more than two decades of airline experience—at Frontier Airlines, Air Canada, Pinnacle Airlines, and Hawaiian Airlines—Menke has had plenty of exposure to his current employer’s platform of software solutions. Sabre was formed under American Airlines, which partnered with IBM in 1960 to create the world’s first computerized airline reservation system. Prior to Sabre, airline agents took reservations manually, storing them in circular filing systems, which often led to increased costs due to under- and over-booking. Sabre became fully operational in 1964, beating other automated reservation systems by at least a year. The company took its innovation a step further in the ’70s by opening up its booking system to the travel agency industry. The company spun off from American Airlines in 2000, creating public company Sabre Holdings. It was acquired in 2007 by private equity firms Silver Lake and TPG before going public again in 2014, trading under the ticker symbol SABR on the Nasdaq. Although it had spent several decades expanding its products and building on the success of its early days, it had become clear that the company could no longer rest on its laurels. Before joining Sabre Corp., Menke worked for two decades in the airline industry, where he used the company’s software tools. The lines of business within Sabre were siloed, creating very little cross-play opportunities within the company. That culture filtered down not only between departments but inside each department, as well. On top of that, airlines were frustrated with Sabre. The distribution cost was relatively the same price-point, regardless of the simplicity of the trip, and airlines thought Sabre’s system did a poor job of merchandising airlines’ offerings in a way that could have resulted in more sales, Anderson says. Those tensions were magnified by the fact that Sabre didn’t really see airlines as customers at all. It viewed them as suppliers, changing the manner in how the company responded to airlines’ concerns. Although he had grand visions of the future, Menke had some immediate business to tend to as the company’s new leader. And along with that came some tough decisions. Sabre was selling technology to customers based on deadlines it couldn’t meet. So, the company often shelled out more cash to catch up on timing and fell further behind on revenue because the product was late. It didn’t help that in December 2016, the same month Menke was appointed, Sabre lost a $15.3 million antitrust lawsuit, filed in 2011, with American Airlines. The suit claimed that Sabre used its position to “bully” the airlines into paying unfair fees and signing unfair contracts to stay ahead of its competitors. Sabre has since filed an appeal. With the company’s future on the line, Menke took matters into his own hands. To ensure the organization was efficient, he had to first make sure he had enough of the right people in the right seats. That meant letting some people go and hiring employees who believed in a similar vision. It also meant laying off about 900 employees—300 of whom were at its headquarters—which the company announced August 2017. “From time to time, we adjust staffing to meet business requirements and opportunities, just like any well-managed company must do,” the company stated in a release at the time. In the process of retooling, Menke found like-minded executives DiFonzo and Vish Saoji, who was brought on as chief technology officer in August 2017, to lead the software transformation, which includes things like transferring its infrastructure to the cloud, cross-pollinating software architectures across different divisions, and connecting the entire travel experience to open up new opportunities to serve clients. The idea is that Sabre would eventually be able to help book flights, along with hotels, ground transportation, and entertainment options, and it will do so with intelligent systems that can recommend personalized packages and offerings based off of the massive amounts of data it already collects. The company also recently established a Technology Solutions organization—which combines Sabre’s Travel Network, Airline Solutions, and data and analytics solutions—and expanded the leadership team to properly accommodate the new structure. Founded by American Airlines in 1960, Sabre was spun off as an independent company in 2000. 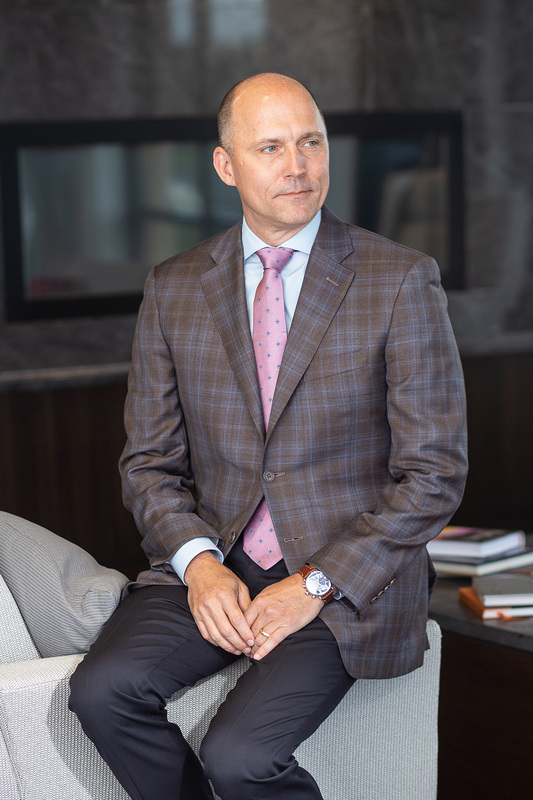 Since taking the helm, Menke has built the team, putting key people in place, like promoting David Shirk to lead the Travel Solutions organization and hiring seasoned Chief Financial Officer Doug Barnett. He also skimmed excess operations and formed new partnerships, such as integrating Bookings.com into Sabre’s services. The market appears to have faith in Menke’s latest moves. Sabre’s stock price steadily fell over the course of 2017, after Menke scratched the company’s midterm guidance. But since then, investor enthusiasm has grown. Sabre’s stock has risen from $17.40 per share in mid-August of last year to $25.16 at the same time this year. “They’ve never had this many long-term travel agency deals in place,” says Jed Kelly, executive director and senior analyst at New York-based investment boutique Oppenheimer. It has “a strong balance sheet and the airline solutions are returning to growth. If they continue to execute on their initiatives, the stock will continue to have a gradual price appreciation,” Kelly says. With a competitive drive comes an expectation of excellence. As he does for himself, Menke sets high standards for his team, viewing the company as a shoe-in to be the innovation leader in its industry—a title Sabre historically carried. Menke’s competitive spirit breeds enthusiasm, says Kim Warmbier, Sabre’s chief human resources officer who consulted for the company before being hired in July 2018. His triathlon track record “allows people to see him in a different perspective,” Warmbier says. Schumann, who has worked on culture initiatives for 40 years with companies like Southwest Airlines, ExxonMobil, and 7-Eleven, says his study of Sabre shows positive signs of progress. It will be a challenging trek ahead. But for Menke, putting one foot in front of the other, one stride at a time, is how he’s going to help Sabre reach its goal. There will be aches and pains along the way, but if all goes according to Menke’s plan, the company will come out leaner, meaner, and miles in front of the pack.